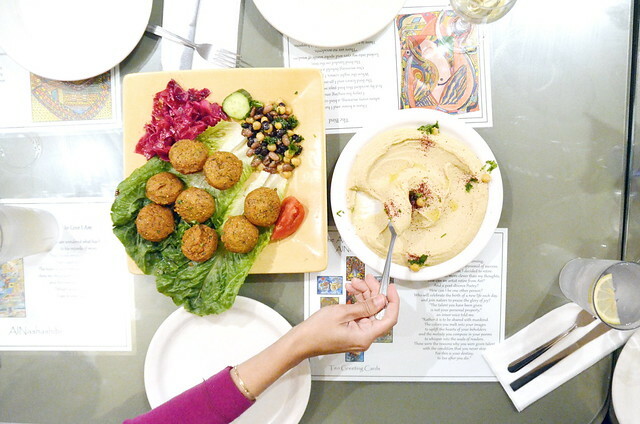 Art filled walls surround diners in San Diego’s Fairouz Cafe & Gallery, by owner Ibrahim Al Nashashibi, and numerous vegan options fill the hot and cold trays of the all day Greek and Lebanese buffet (Lunch $12.99 / Dinner $15.99). 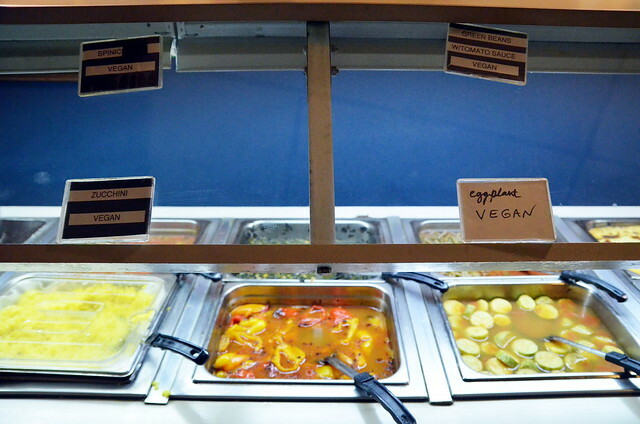 All clearly marked and generous, the buffet makes for an easy-to-dine-together meal for difficult groups—but for those not partial to food sitting out all day, there is table service as well. And the table service is exquisite. 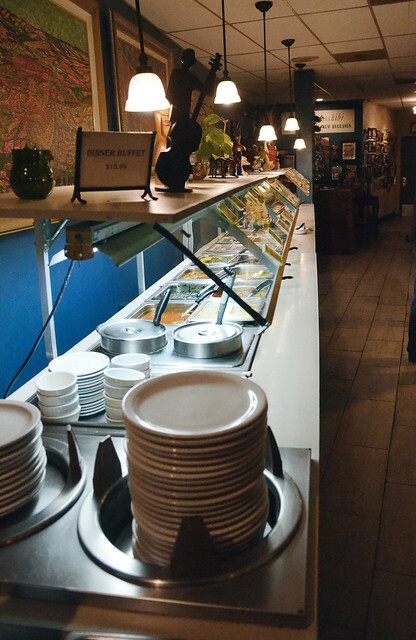 Cafe level friendliness with handsomely plated portions of masterfully executed Mediterranean favorites. 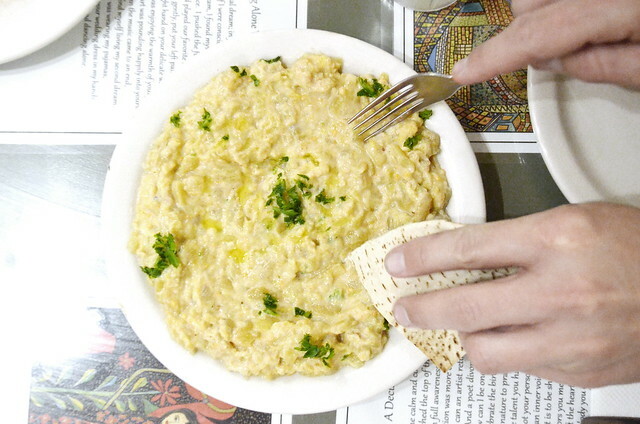 The Hummus (Small $5.99 / Large $7.99)—rich and creamy with nutty tahini, a splash of lemon, and a drizzle of olive oil—is a lovely as can be found in San Diego. The Falafel (Small $5.99 / Large $7.99), golden and pale with more chickpea then herb, comes with marinated red cabbage and a knob of salad. 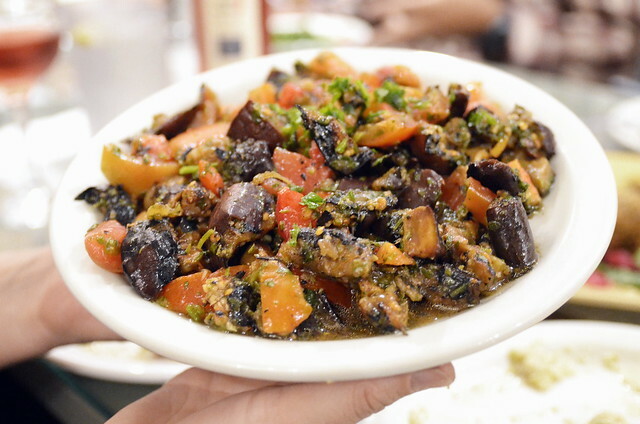 Large chunks of baked eggplant, mixed with tomatoes, parsley, and garlic, all marinated in lemon juice and olive oil make up the Mufasakh (Small $6.99 / Large $8.99). Generous and easy to share but still, I’d probably skip this dish in the future. 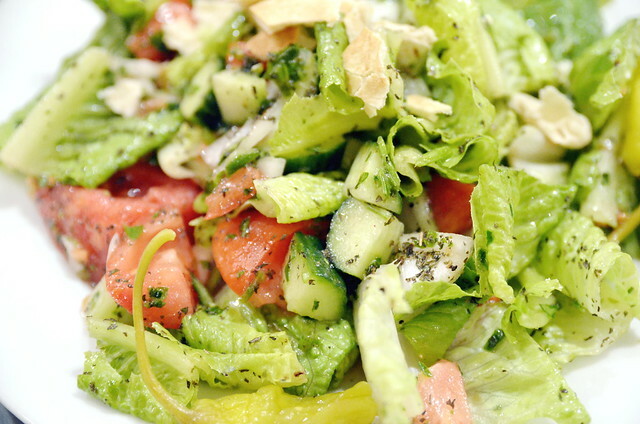 A Fatoosh Salad ($6.99) is a welcomed addition to any meal. A crisp pile of chopped romaine lettuce, tomatoes, onion, cucumber, mint, and parsley with crisps of toasted pita and tossed with lemon juice and olive oil. The Baba Ghanouj (Small $5.99 / Large $7.99) is top of the line. A luscious puree of smokey eggplant, tahineh, lemon juice and garlic that is a must order. 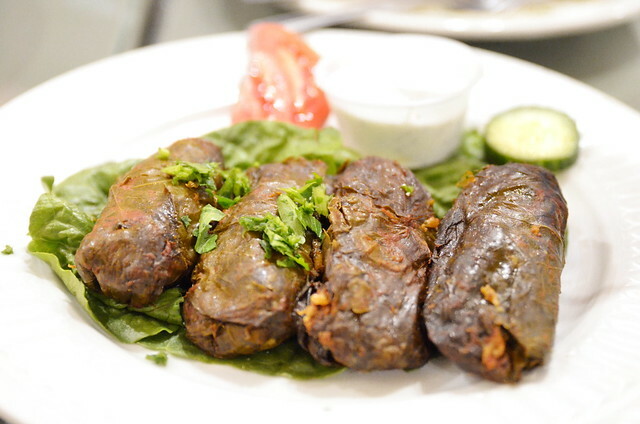 Perhaps the best dish is the Dolmathes ($7.99). Brined grapeleaves rolled up with rice, chopped tomatoes, onions and parsley that taste like kisses of Mediterranean sea air in a San Diego strip mall. In fact, it may be worth getting the buffet just to gorge on this fat thumbs of joy.